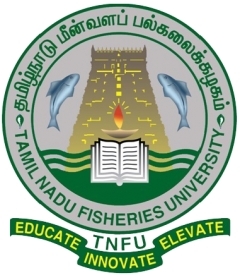 TNFU Recruitment 2017 has revealed on their official website for 25 Junior Assistant, Typist, Steno-Typist Gr.III, Library Assistant, Fishery Assistant, Office Assistant, Lab. Attendant, Mechanic, Electrician & Farm Manager Posts. Here you will get all details. Here you will get complete detaisl about process of examinations and interview, eligibility criteria, Offline registration processes, payment of prescribed application fee/intimation charges, TNFU pattern of examination, TNFU Syllabus, TNFU Question Paper, TNFU Admit Date Release Date, TNFU Exam Date, TNFU Result Date. Now check below all details. Graduation details: Bachelor Degree from a recognized university. Find more details on their notification. Details about Age Limit: Should not exceed SCA,SC/ST- 35; MBC/DC, BCM, BC-32 and OC-30. Candidates Relaxation in Upper Age limit will be provided as per Govt. Rules. Go through TNFU official Notification 2017 for more reference. (Demand Draft drawn in favour of “The Finance Officer, Tamil Nadu Fisheries University, Nagapattinam-611 001” at any nationalized bank payable at Nagapattinam. The Demand Draft should be dated not earlier than 08.10.2017). 6. Application form and instructions to candidates and the details on number of posts and place, communal reservation, scale of pay, qualification as per the Service Rules of the University can be downloaded from the TNFU website www.tnfu.ac.in. The duly filled in application should reach the Registrar, Tamil Nadu Fisheries University, Nagapattinam-611 001 on or before 5.00 pm on 07.11.2017 along with the Registration Fee of Rs.500/- (Rupees Five hundred only)/ Rs.250/- (Rupees Two hundred and fifty only) in case of SC/ST candidates by crossed Demand Draft drawn in favour of “The Finance Officer, Tamil Nadu Fisheries University, Nagapattinam-611 001” at any nationalized bank payable at Nagapattinam. The Demand Draft should be dated not earlier than 08.10.2017. The candidates should specify in their application form “Application for the post of ________”. Proof (Photo copies) should be enclosed with the application.